I realized that the opportunity to help students develop into leaders is one of the main things that motivates me (and many others) to teach. Last winter, my husband and I realized that we would need to move out of Maine in order for him to find a job. For the remainder of the school year, I dreaded one specific moment above all others related to leaving my current teaching position. It was certainly unpleasant to consider sending in a letter of resignation, notifying my colleagues, cleaning out my classroom, and abandoning my curriculum works-in-progress. Yet none of these chores were what featured prominently in my anxiety dreams, or what worked itself into a tension knot in my neck. For months, I obsessed about the first day of school when 15 sophomores would walk into my classroom after lunch and realize that I was no longer their teacher for the class that we call advocacy. This might sound narcissistic, but it’s not because I thought I was irreplaceable. It was because I had made an unspoken agreement to stick with these students through all four years of high school. When that first-day moment came, they would realize I had broken my promise and abandoned the team. To back up for a moment, when my husband and I moved to Maine a little over a year ago, we fully intended to stay there for at least five years, if not longer. I started teaching at a small, rural high school north of Portland last fall and enthusiastically began the long journey toward becoming part of the community. I begged my principal to let me have a freshman advocacy group rather than lunch duty, because I had ideas for what I could do with a small cohort of ninth graders that I would see for thirty minutes after lunch every day until they graduated. The advocacy program has been many things in the years since its inception, but the current incarnation consists of four weekdays of silent reading (students are supposed to bring in reading material of their choice) and one day of “not reading.” The agenda on nonreading Wednesdays is mostly left up to each advocacy teacher, although sometimes there’s a school-wide activity—a class meeting, a speaker, a fun challenge posed by some club or organization. Students around the school often referred to this as their “free day,” but my group quickly learned that it was, in fact, a “whatever-Ms.- Wells-decides-we-are-doing” day. My plan was to use all four years to build my advocacy students’ motivation and capacity for engaging in service projects to address important issues of their choosing. This is something I have always wanted to be able to do, and the half hour of “whatever” time mid-week seemed like a golden opportunity. I need to say a few more things about why my advocacy students were so important to me before discussing what I did about that dreaded moment. First, other freshman advocacy teachers sometimes joked that I had a “stacked” group. I’ll admit that I did have some pretty topnotch kids, but I also had several who seemed stuck at the bottom of the academic and/or social ladder. I know this because as the only ninth grade physical science teacher, I taught all 120 students in the freshman class. I can assure you, my advocacy was as much of a random cross section of the grade as anyone else’s. However, at the beginning of the year I started a campaign to convince my students that they were, in fact, the best group. After a while this idea stuck, and it ultimately started to become a self-fulfilling prophecy. Whenever my students asked why I was making them do something different than the other advocacies—such as team building activities, listening to podcasts and discussing social issues, or brainstorming how to remedy negative aspects of the school culture—my reply was always along the lines of, “because our advocacy is special and we have to set an example for the others.” I even made a big show of ushering out students from other groups who tried to sneak into my room just before advocacy on a regular basis. With this attitude, it was no surprise that we won the freshman kickball tournament in the spring. In addition, it didn’t take much effort to persuade my students to help develop and then participate in a goofy social experiment at the end of the year about the transformative power of kind acts. Yet, while I think I successfully convinced my advocacy that they were the best group, my job was not done. By the end of their senior year, I had hoped to convince every student that each one of them, individually, was someone whose actions made a difference, and that they could make choices worthy of admiration and emulation. Now that I was leaving, how on earth was I supposed to condense three years of intended support and encouragement into just a few words that could be delivered on that first day of the new school year? All youngsters need to believe that they have a stake in the future, a goal worth striving for, if they’re going to make it in school. They need a champion, someone who believes in them, and that’s where teachers enter the picture. The most effective approaches foster bonds of caring between teachers and their students. At the beginning of the year I started a campaign to convince my students that they were, in fact, the best group. After a while this idea stuck, and it ultimately started to become a selffulfilling prophecy. In the classroom, the message, “I care about you and believe in your future,” often gets lost in the zillion other things we need to communicate to our students. On the other hand, advocacy was a time and place free of academic expectations (at least on Wednesdays), and as a result, I enjoyed the ability to cultivate stronger relationships with those students. By the end of their senior year, I had hoped to convince every student that each one of them, individually, was someone whose actions made a difference, and that they could make choices worthy of admiration and emulation. At first, I had no idea where these stories came from. Later, I realized that they stemmed from what is likely a common teacher experience. To some degree, we all must envision a brighter future for our students than they see for themselves in order to stick with the profession. The countless hours we spend mentoring, tutoring, and encouraging our students (on top of teaching them content) only seem worthwhile if we can picture our students as future leaders, change-makers, good parents, and engaged fellow citizens. It is the vision of them living up to their most positive potential—and the world this would create—that keeps us in the game. To some degree, we all must envision a brighter future for our students than they see for themselves in order to stick with the profession. Having worked in several different schools, I’ve noticed that each student population has its own unique set of challenges. During my interview for the position at the school in this article (which serves a small rural community), I asked what difficulties students typically face. One person said that students’ main challenge is that they don’t dream very big. They are too often content with mediocre grades—as long as they’re passing, or eligible to play sports—and typically stay close to home after graduation, even if they have the opportunity to go much farther. Initially I didn’t think this was such a big deal, especially after having taught in an urban setting where students struggle with more immediate and tangible problems like poverty, violence and teen pregnancy. However, I now see how low academic expectations of any kind—whether they’re a result of an unsafe or simply an undemanding school culture —are detrimental to students’ futures. My final thoughts for the reader are as follows. Can you recall a moment when the vision you had for your own future expanded? Who or what inspired you to think bigger? What happened as a result? What are the elements of your future story for your children, the kids next door, downtown, across the country, and around the world? Lindsay Wells is a Knowles Senior Fellow who currently works for the Madison Metropolitan School District as a Science Teacher Leader and for the Wisconsin Cooperative Educational Service Agency (CESA3) as an Instructional Coach. 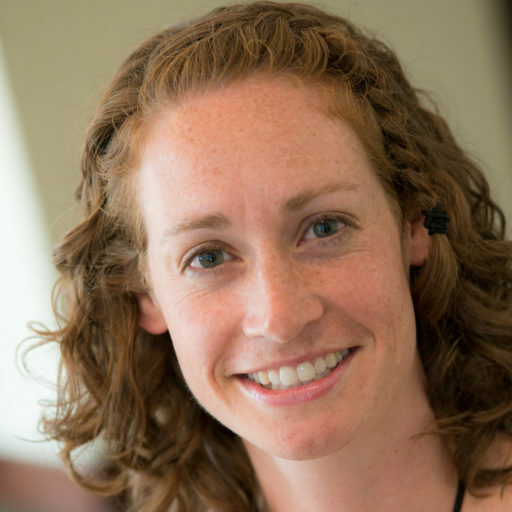 She is also a member of the KSTF Engineering Task Force and the lead instructor of a summer workshop for teachers, jointly sponsored by the University of Vermont and KSTF, on integrating engineering into science and math classrooms. Lindsay can be reached at lindsay.wells@knowlesteachers.org. Kirp, D. (2014). Teaching is not a business. The New York Times. Retrieved from www.nytimes.com. August 16, 2014. Wells, L. (2015). Future stories. Kaleidoscope: Educator Voices and Perspectives, 1(2), pages 3-6.